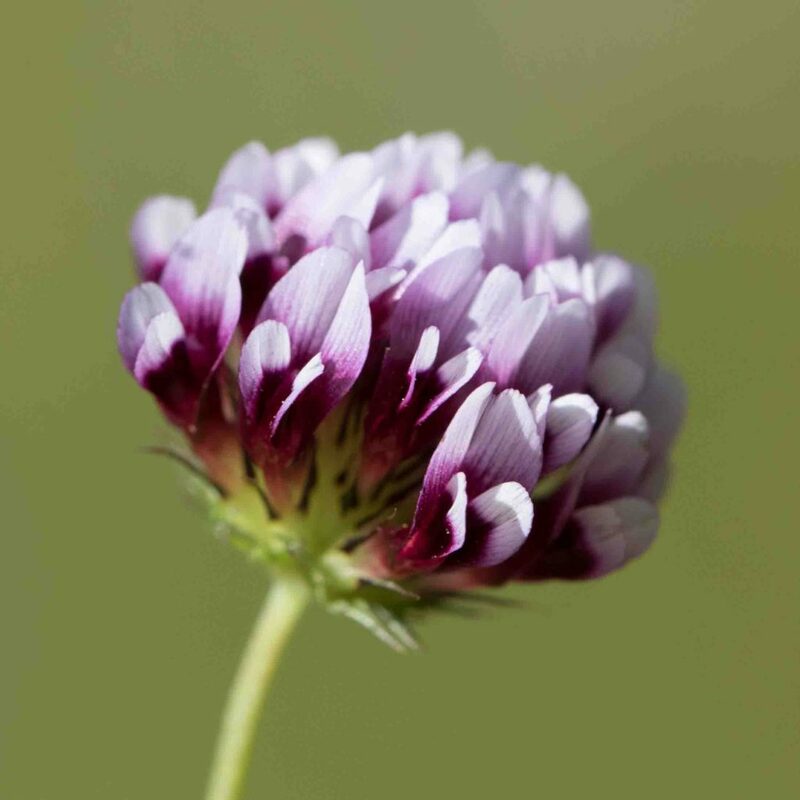 Clovers are common, small plants, sometimes with subtle differences. 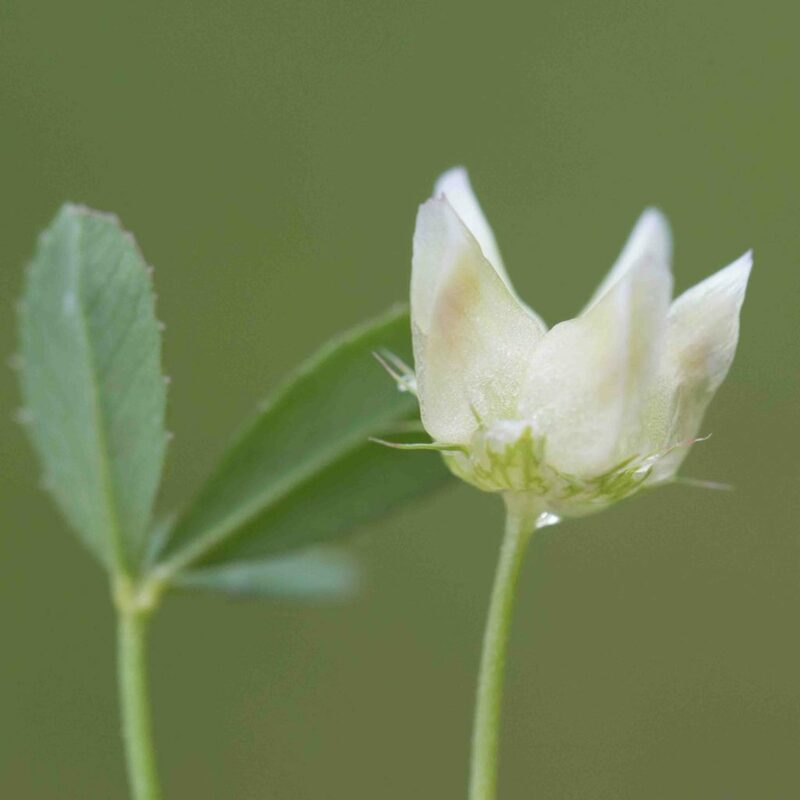 In reading a description of a clover, it is important to remember that the flower head is made up of many small individual flowers so, for example, if a description says that the calyx lobe is longer than the flower, it is the individual flower one must examine, not the whole head. 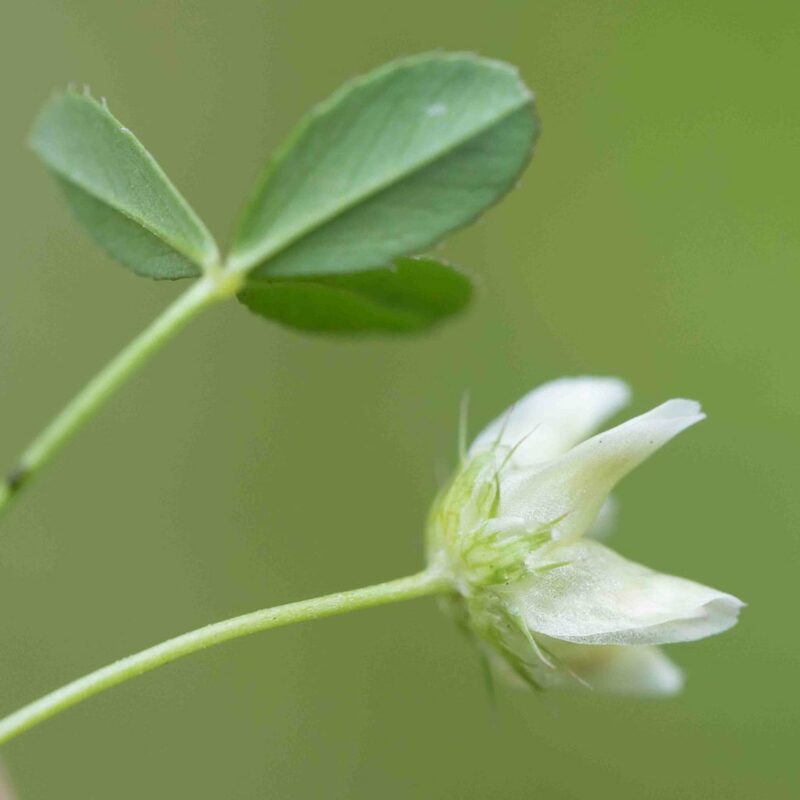 The task of identifying clovers is simplified by looking to see if they have an involucre, (bracts at the base of the head which are fused to form a cup, bowl or wheel). 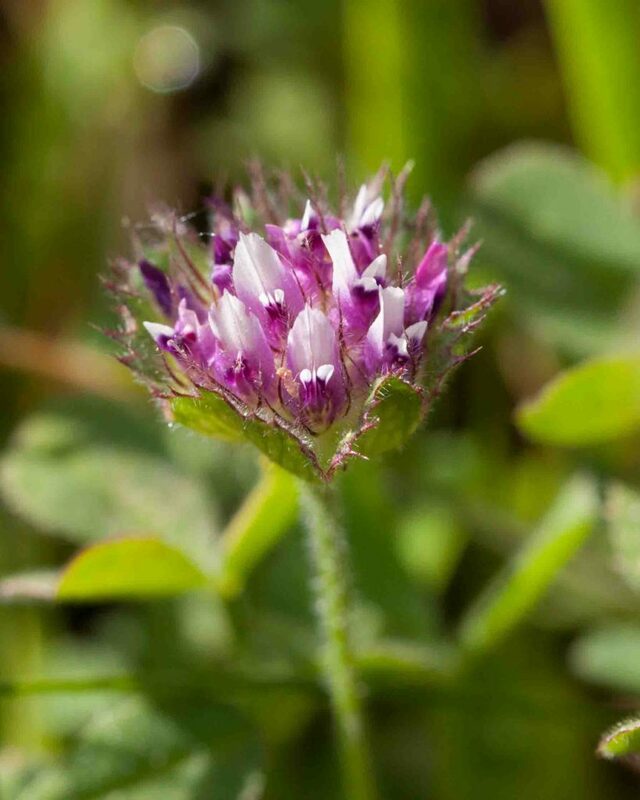 About 40% of the clovers found in Monterey County have involucres; interestingly all of these are native. 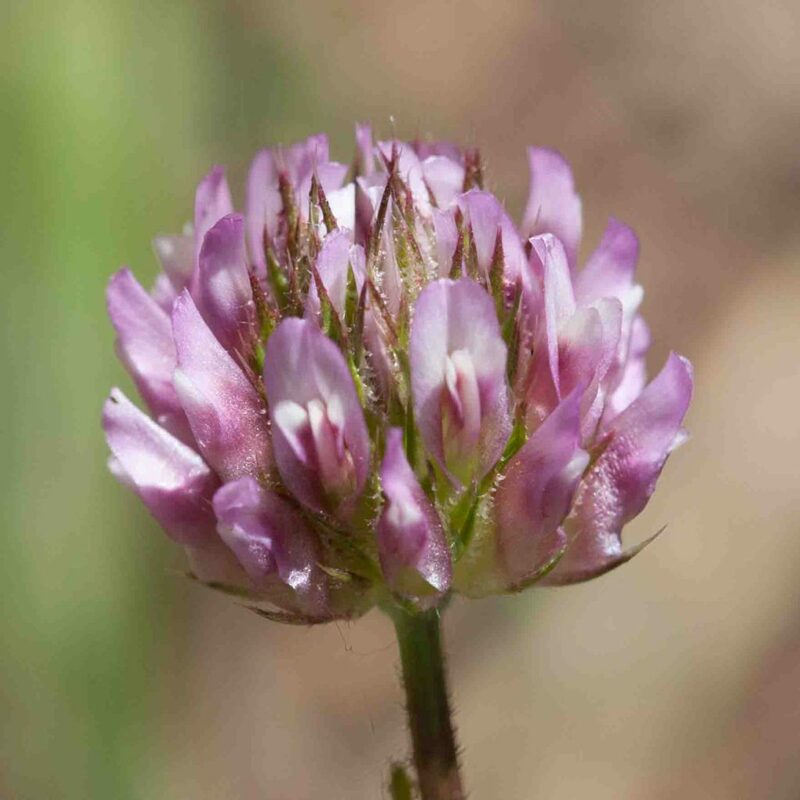 None of the non-native clovers found in the county have involucres. 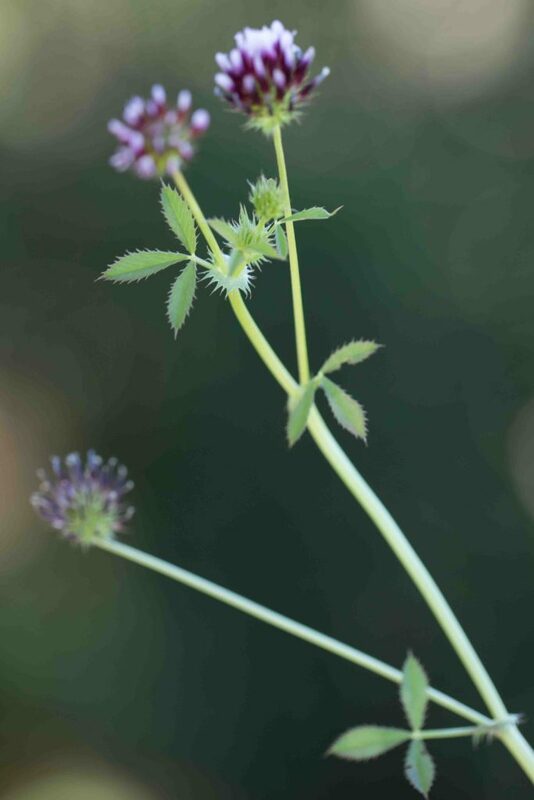 This page covers the plants with involucres, all native. 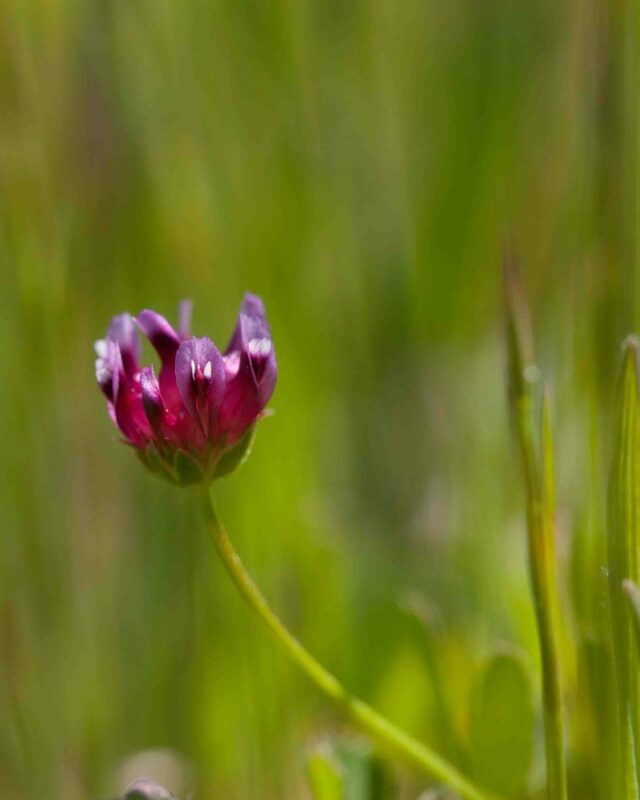 Flowers are red to purple, usually but not always with a pale tip. 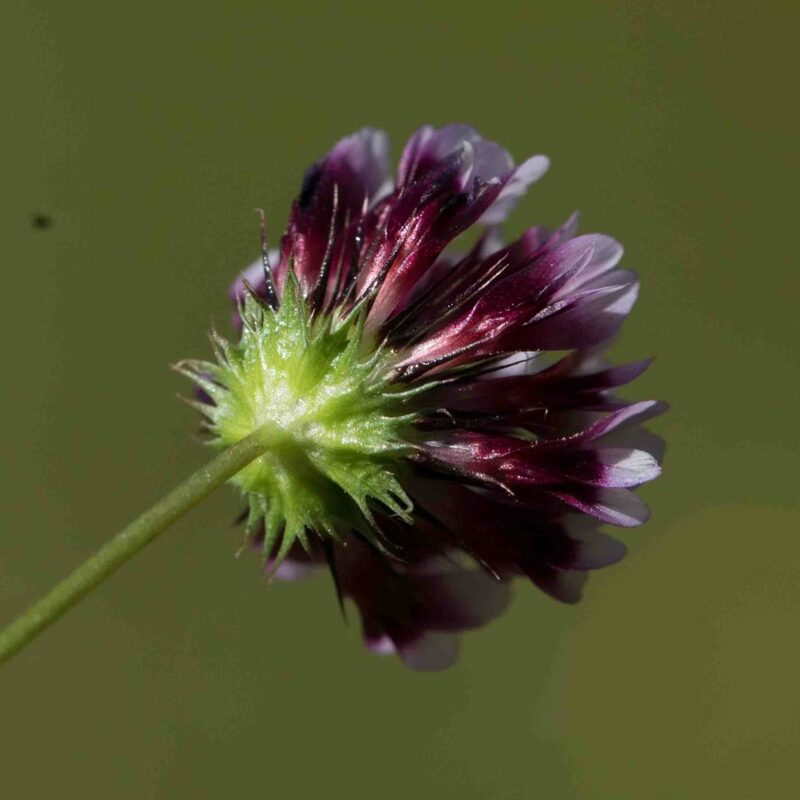 Calyx lobes are plumose, linear and equal to or longer than the corolla. 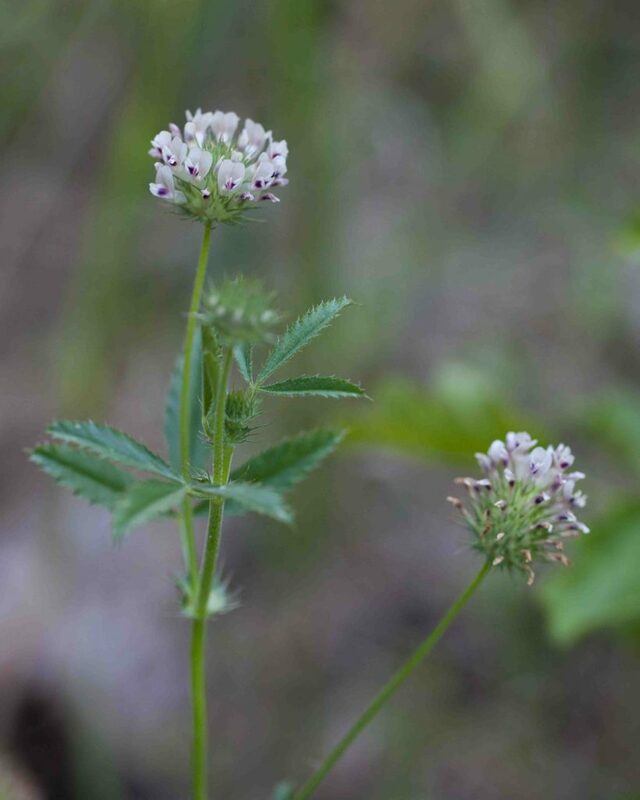 The involucre is prominent and bowl-shaped, the lobes with toothed edges. 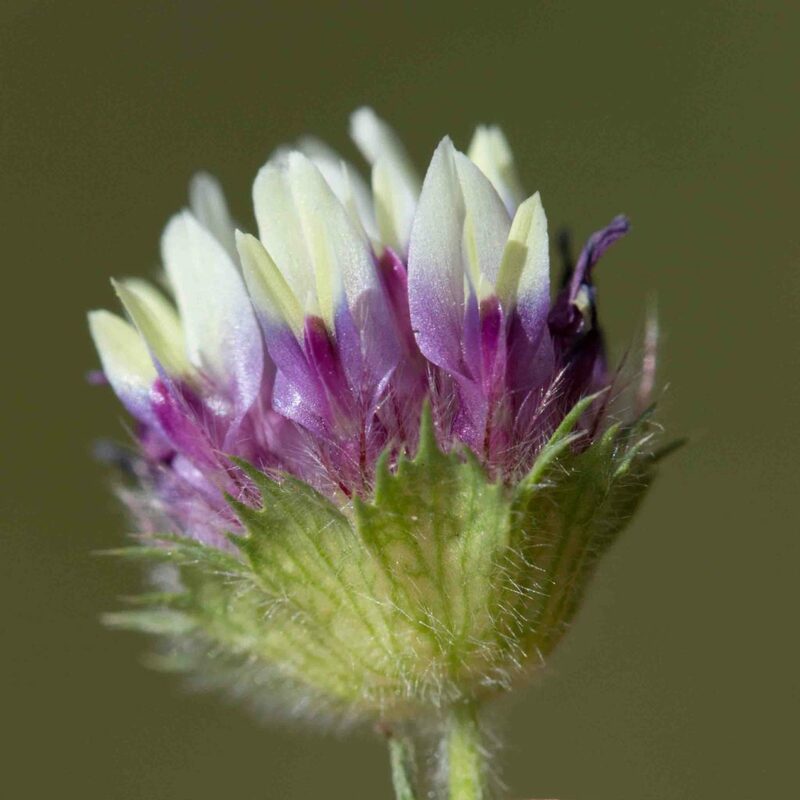 The inflorescence is 5–25 mm wide. 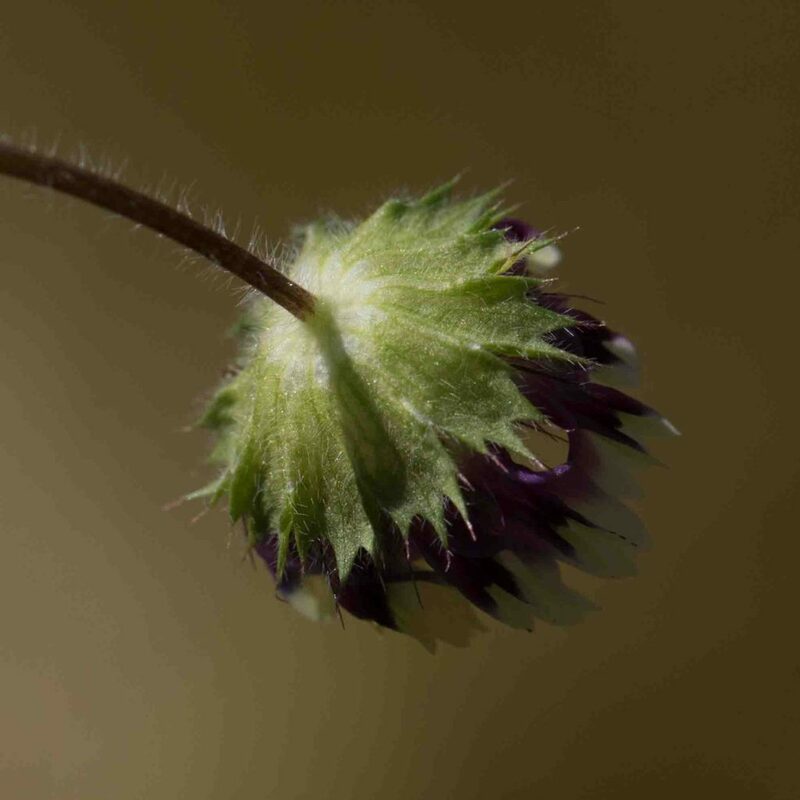 The peduncle is 4–9 cm long and hairy. 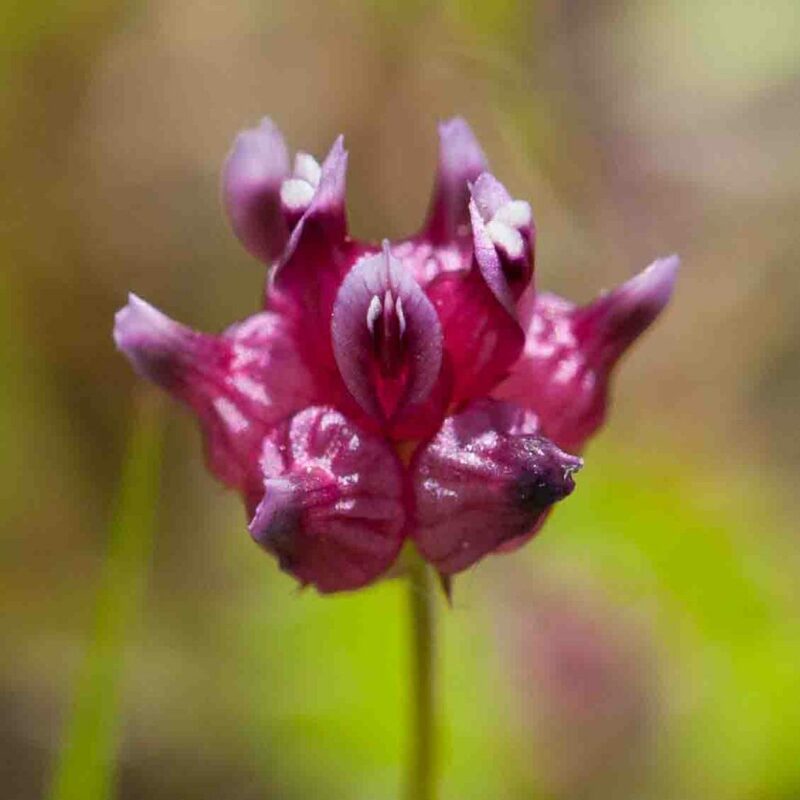 This species is characterized by its very small heads and the way its banner inflates in fruit to create a sack-like appearance. 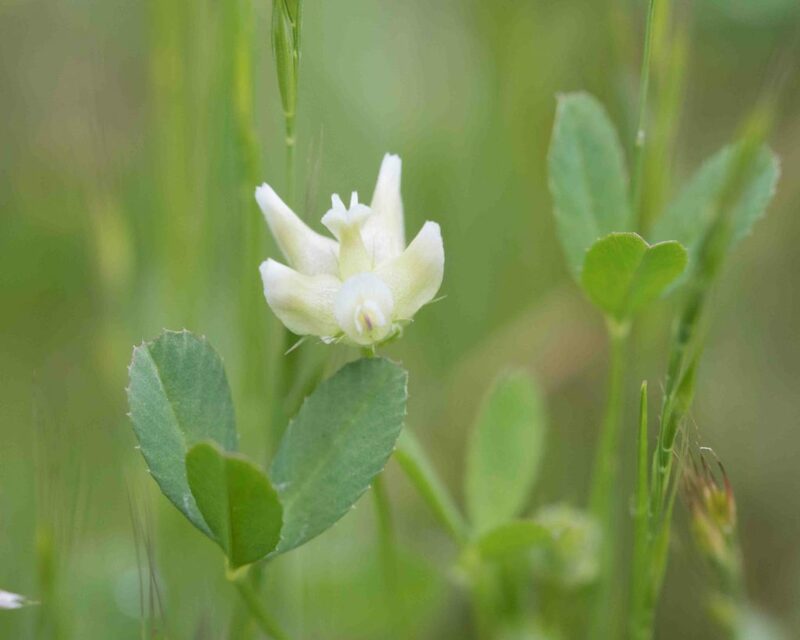 This variety has very pale greenish-white flowers. 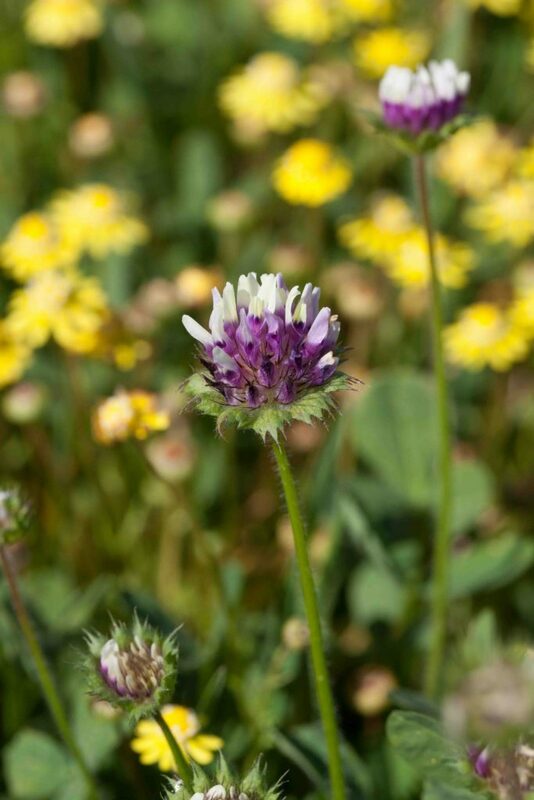 The involucre is evident but not prominent. This species is characterized by its very small heads and the way its banner inflates in fruit to create a sack-like appearance. 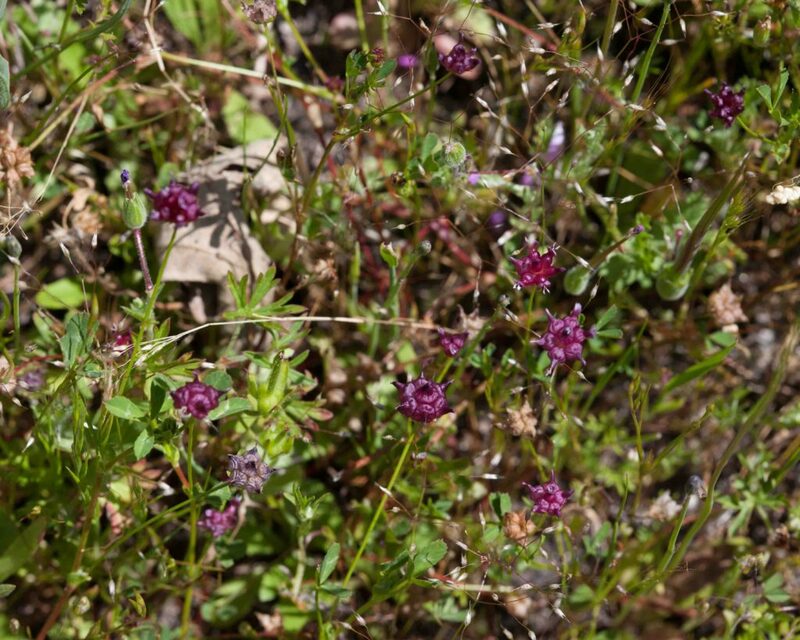 This variety has very reddish-purple flowers. 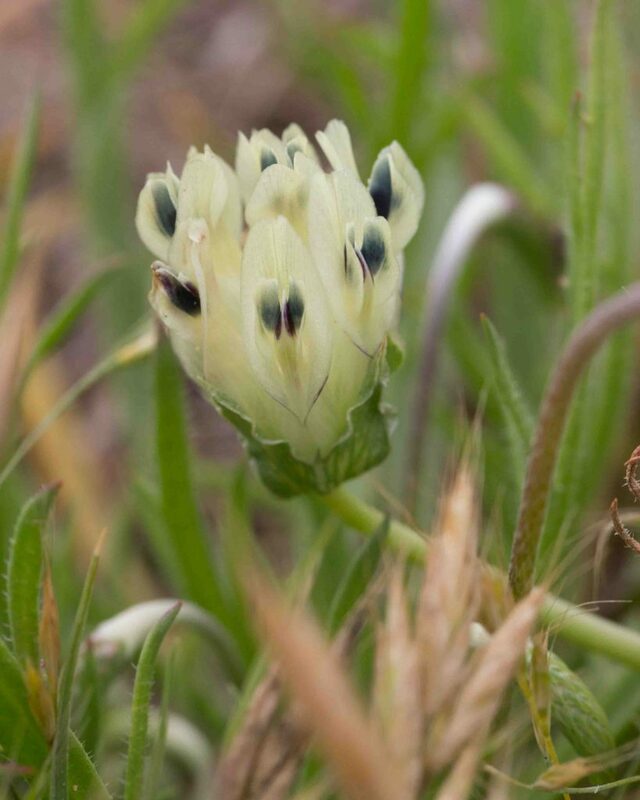 The involucre is evident but not prominent with the lobes more or less free. 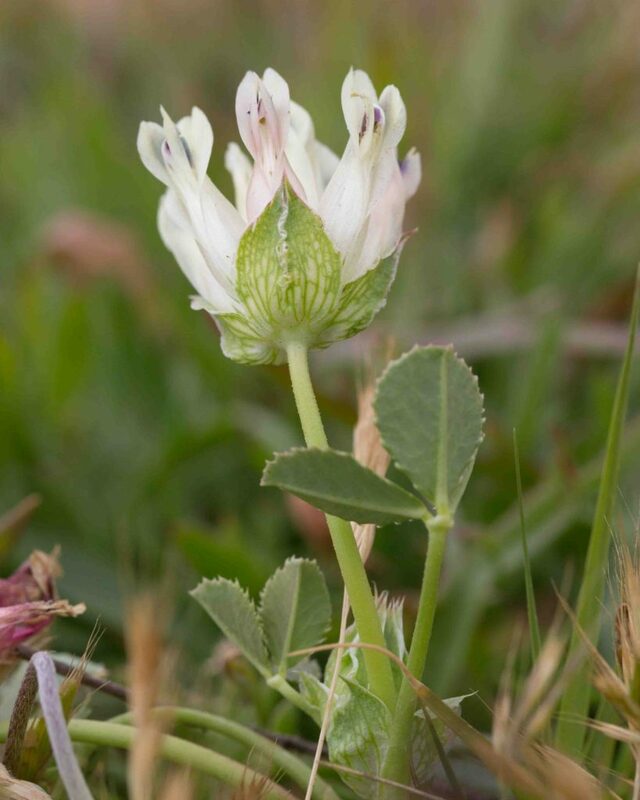 Like the Sack Clovers (Trifolium depauperatum) this is characterized by the way its banner inflates in fruit to create a sack-like appearance. 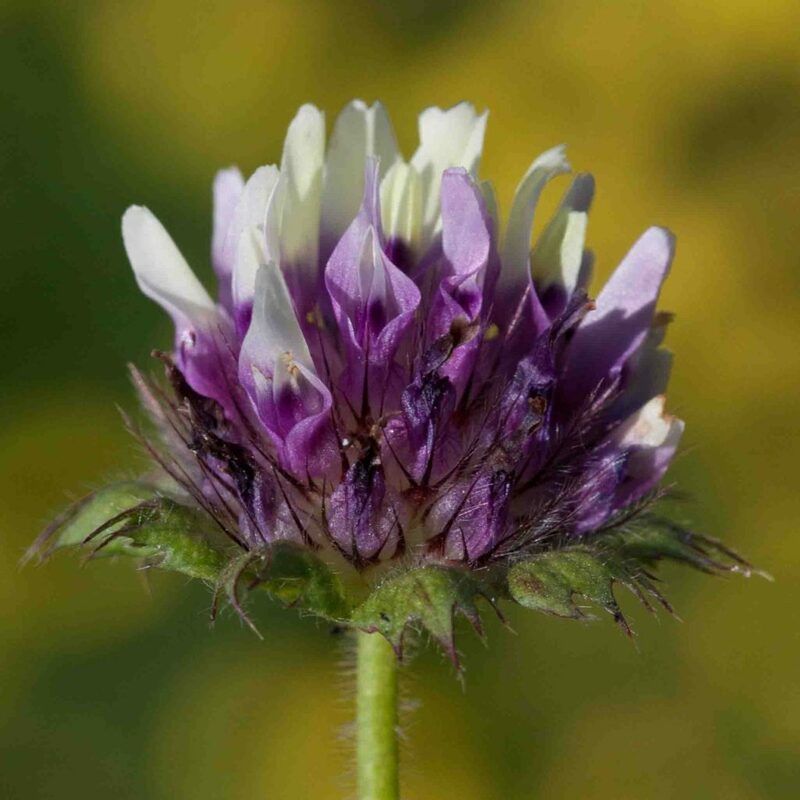 The flower ranges from creamy white through pale yellowish-green to pink-tinged with deep purple, almost black spots on the wings. 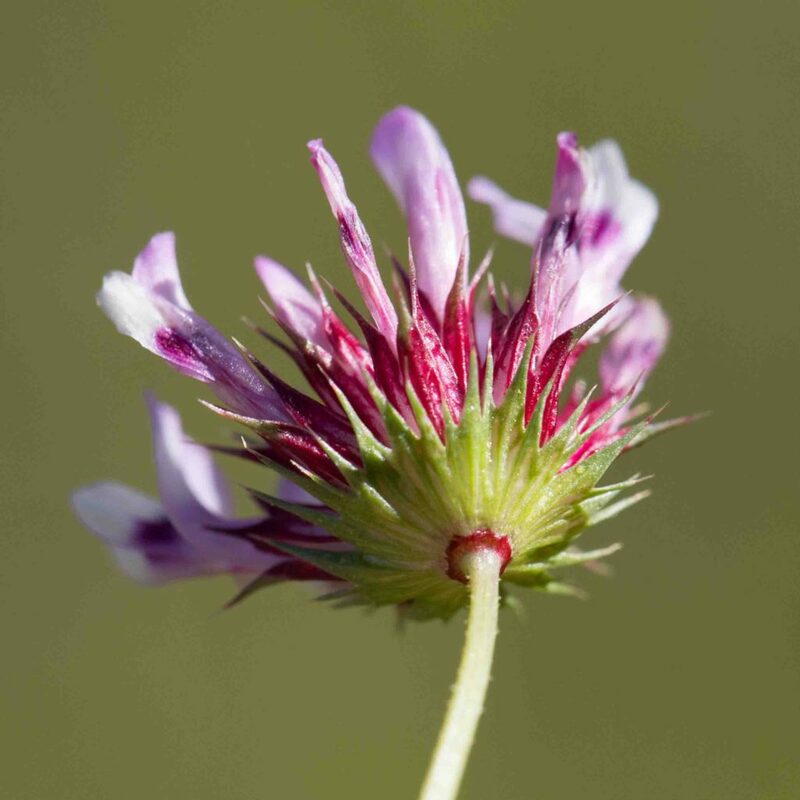 The involucral bracts are prominent but more or less free. 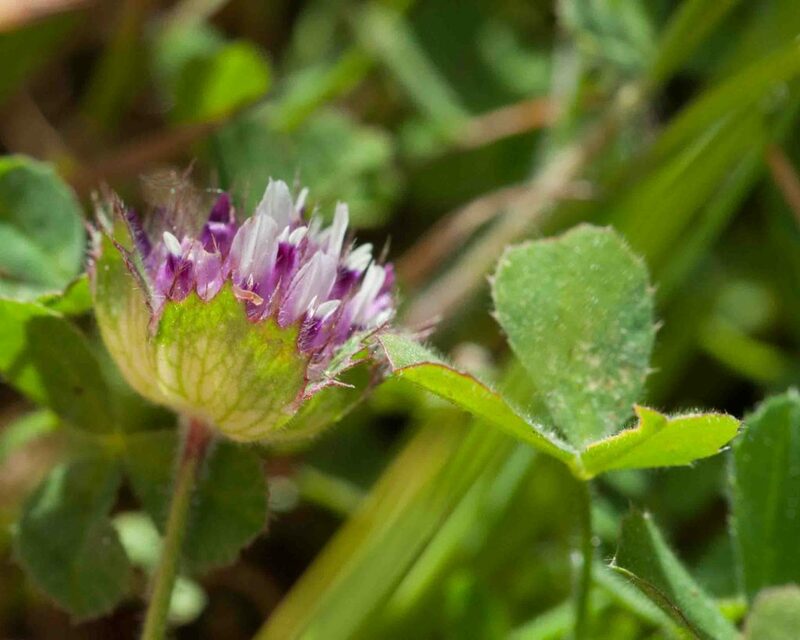 Leaves are elliptic to round and may be finely serrated. 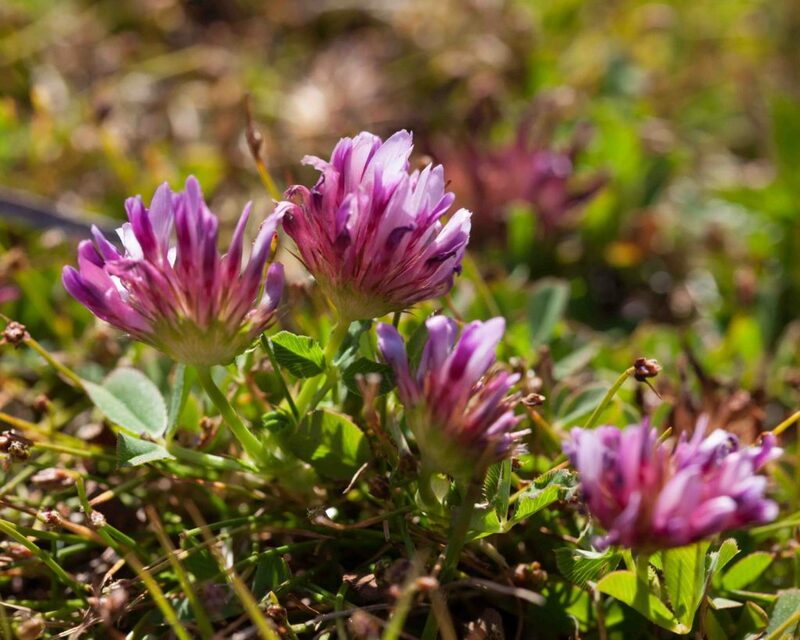 Very similar to Bearded Clover (Trifolium barbigerum) and formerly treated as a variety of it, this also has a prominent, bowl-shaped involucre (sometimes more saucer-shaped) with sharply toothed lobes, and long, plumose calyx lobes. 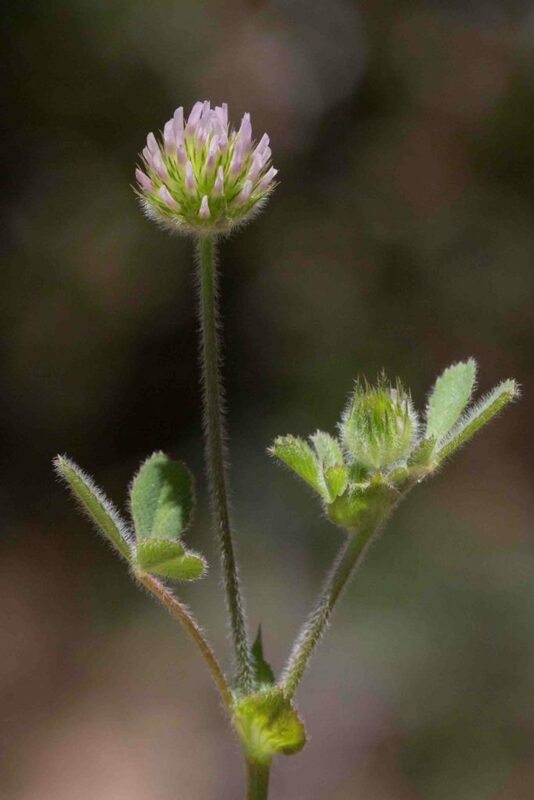 Unlike Bearded Clover, the calyx lobes are shorter than the corollas. 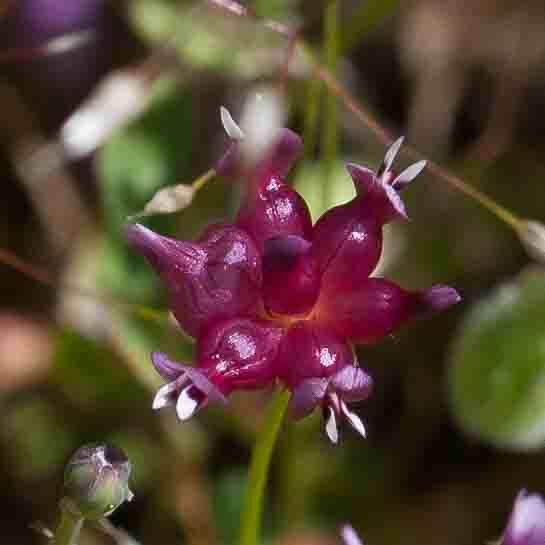 Stems are erect to decumbent. 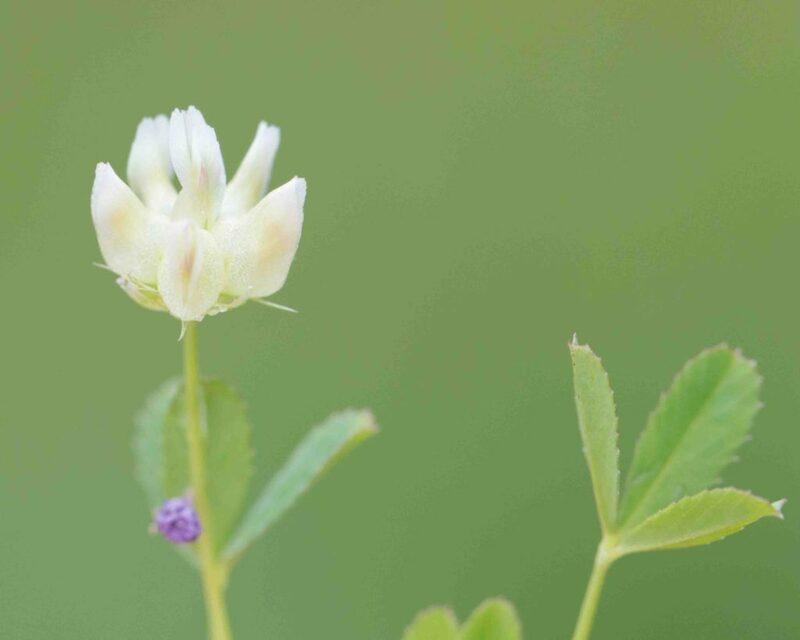 Flower heads are small with 4–7 mm rose to whitish flowers with bristle-tipped calyx lobes. The involucral lobes are deeply cut. 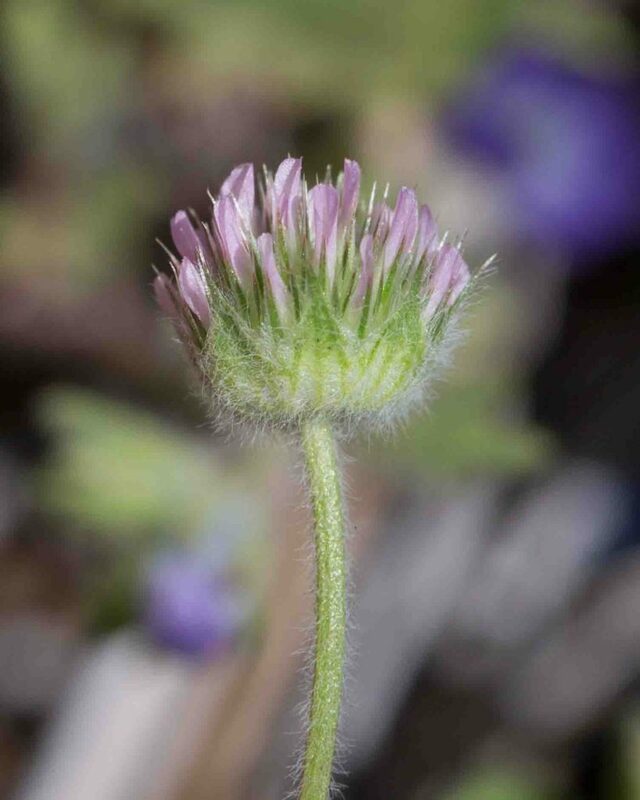 Both stem and inflorescence have fine wavy hairs. 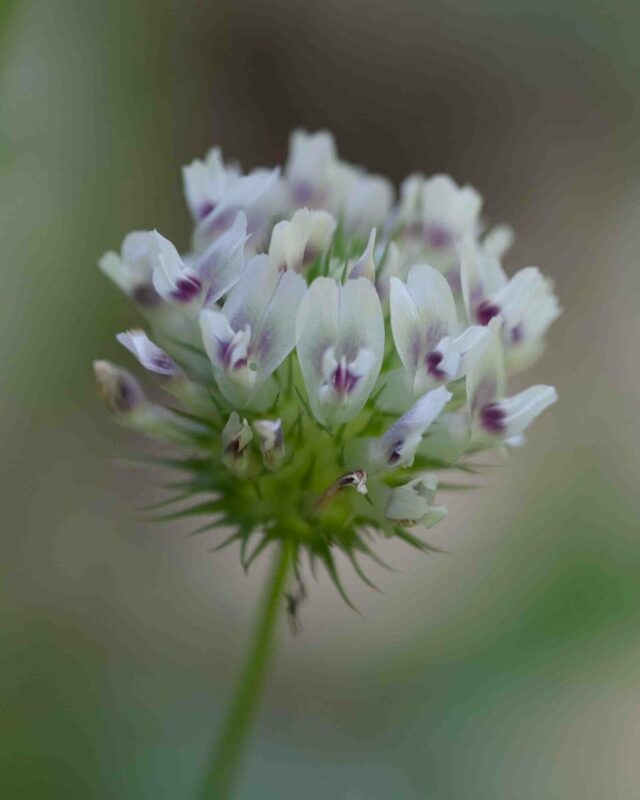 This has comparatively large flower heads (1.5–3 cm across) with 14–18 mm tall, whitish-pink flowers with purplish blotches on the wings. 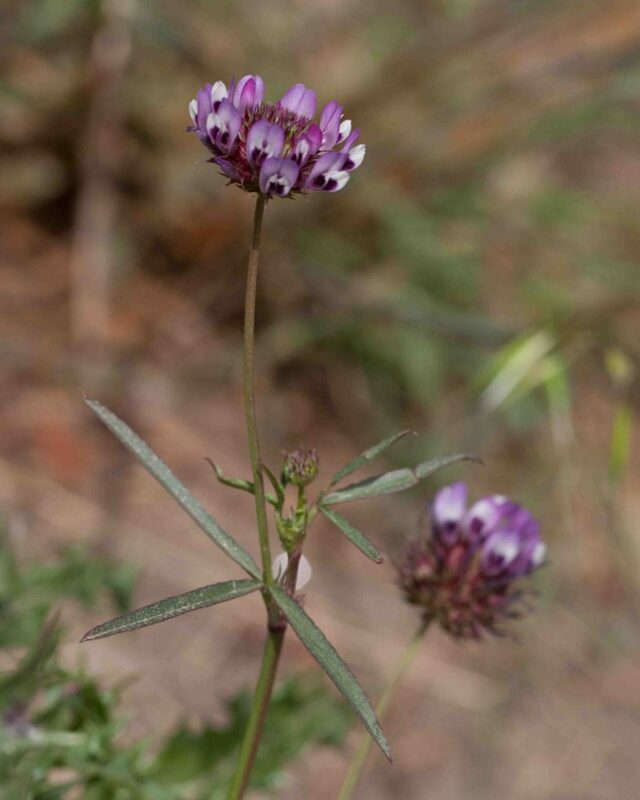 The sharply serrated 2–4 cm long leaflets are distinctive. 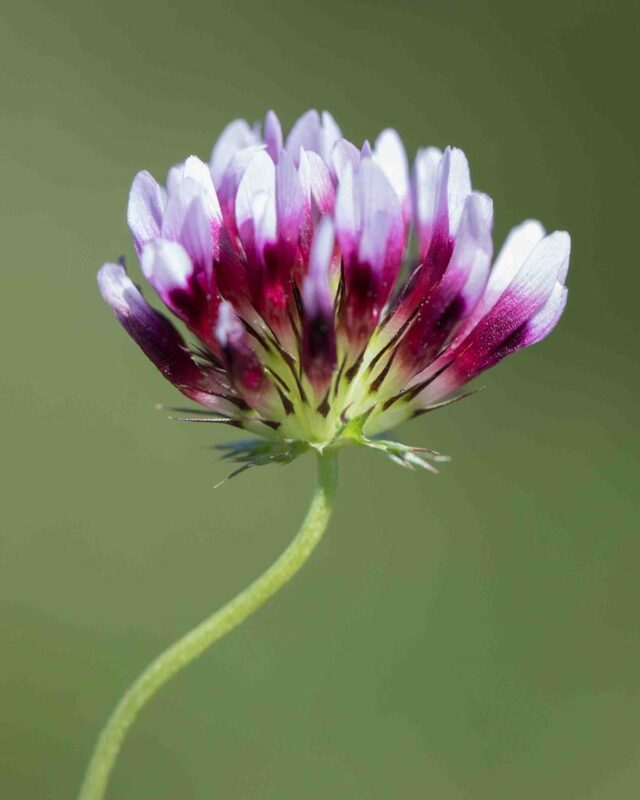 The involucre is deeply cut. 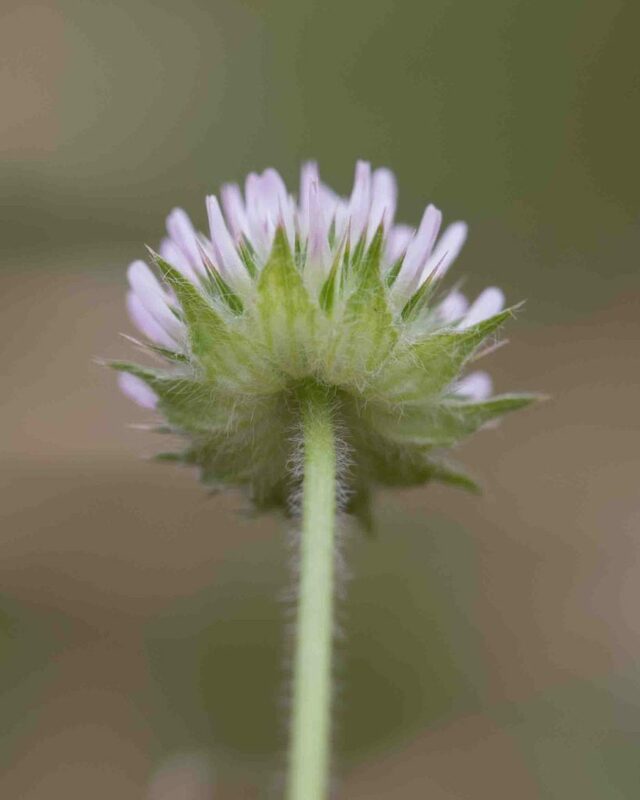 The plant is sticky with short glandular hairs. 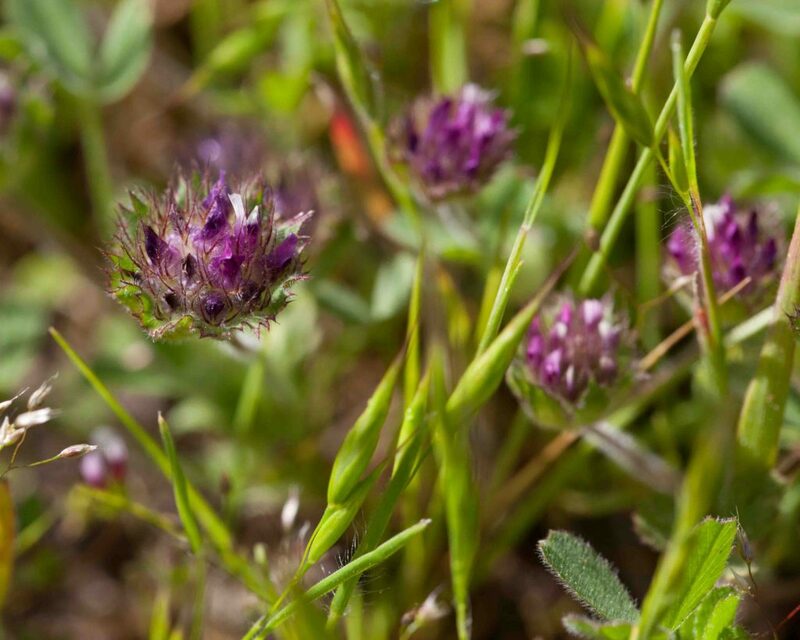 Uncommon in Monterey County, found in Fort Hunter Liggett and the Indians. 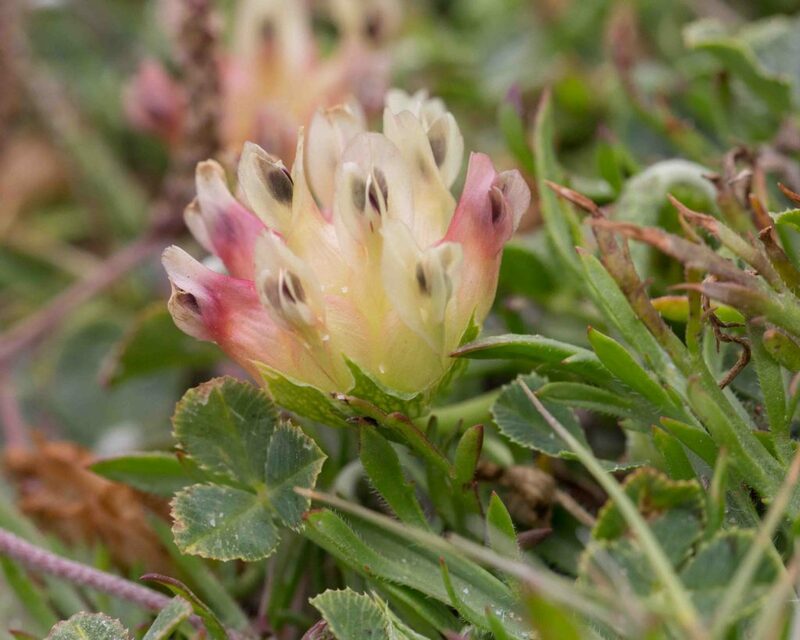 In appearance, it is not unlike Tomcat Clover (Trifolium willdenovii) but it can be distinguished by the pale pink to whitish tips of the flowers and the more ragged appearance of its involucral lobes. 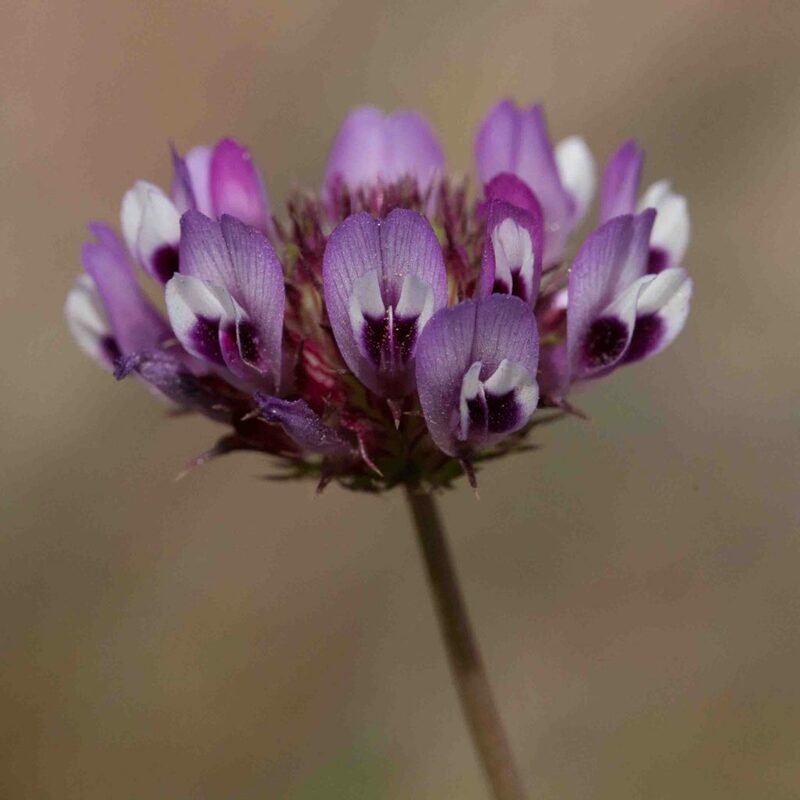 The species has three varieties found in the county, this being the one with the most flowers (10–many) in the head. 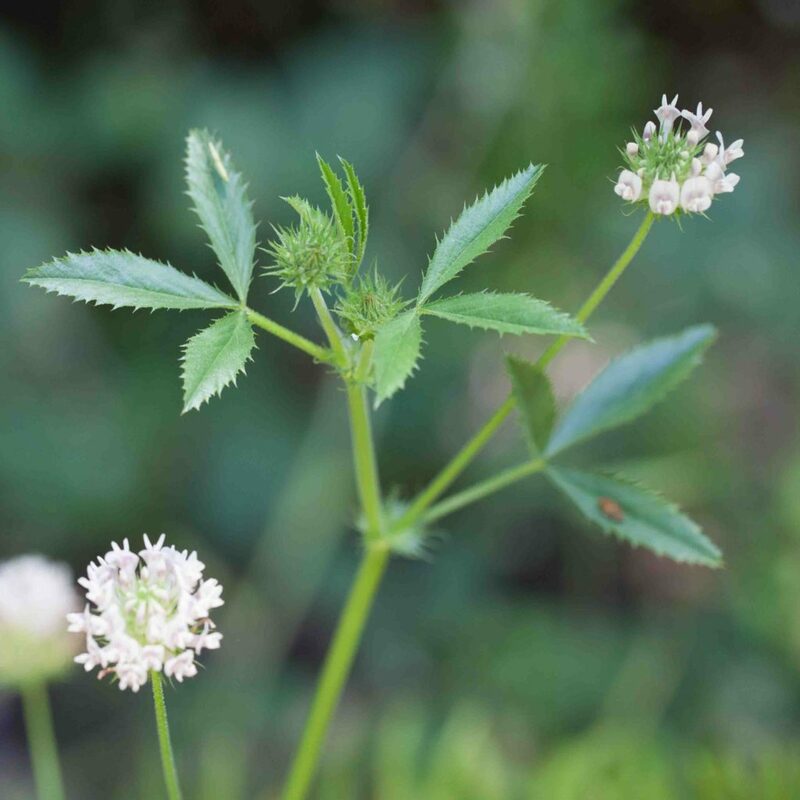 The lower leaf stipules are generally entire, the upper ones are deeply cut. 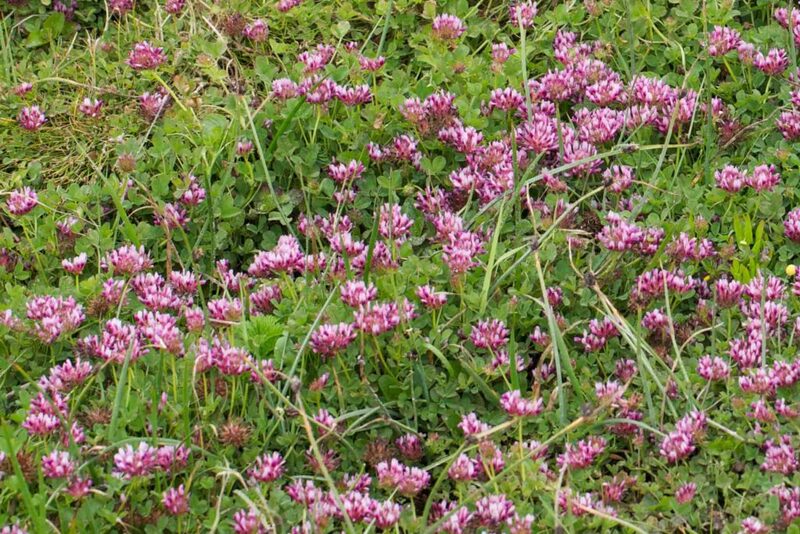 A very common clover, most easily recognized by its narrow lanceolate leaflets and sharply dissected, wheel-like involucre. 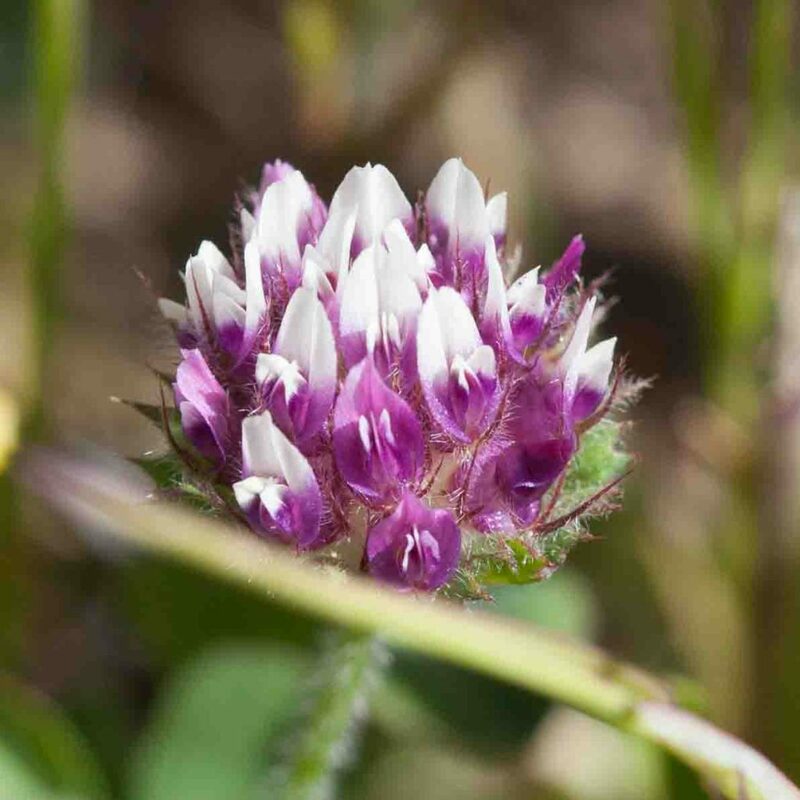 Flowers are purple with white tips. 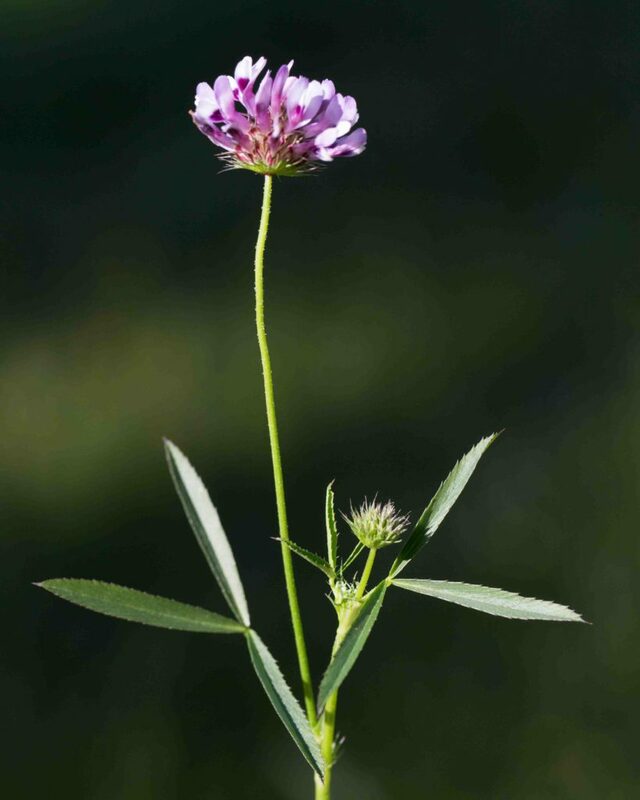 A low-growing plant with ascending stems and a comparatively large flower head. 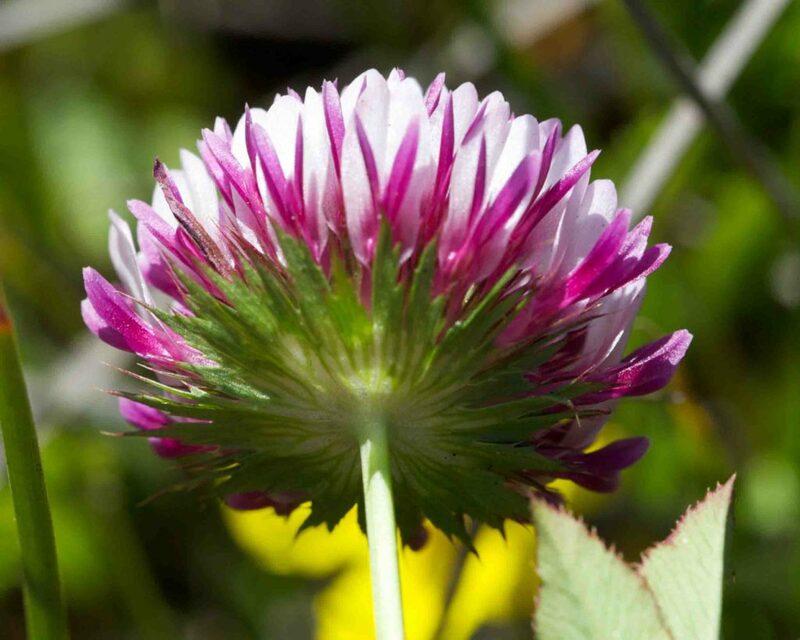 Sometimes found in large quantities. 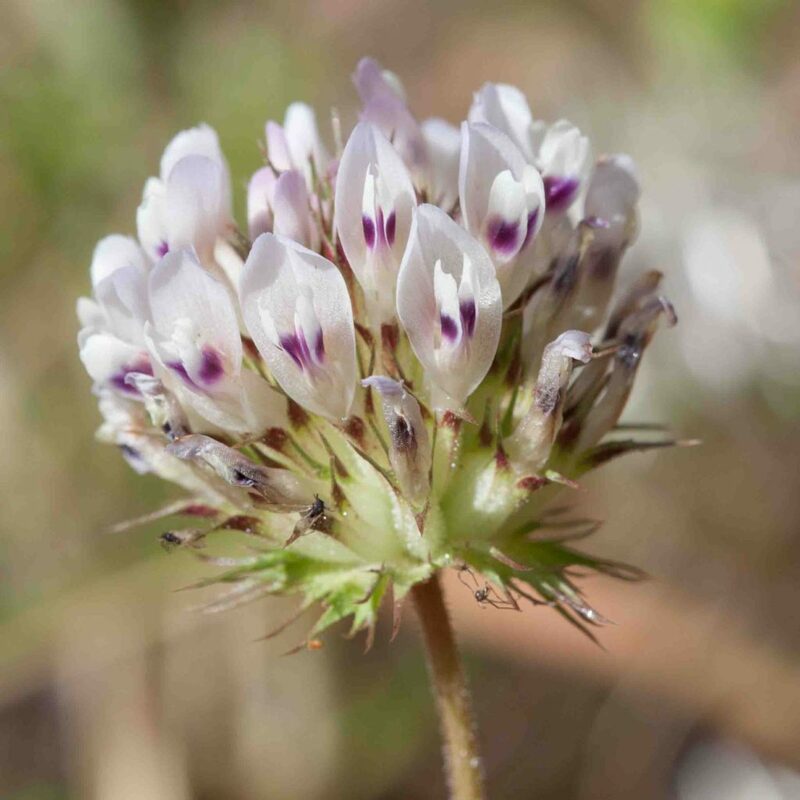 Its pale pink, occasionally white-tipped flowers are distinctive as is its many-lobed, wheel-shaped involucre. 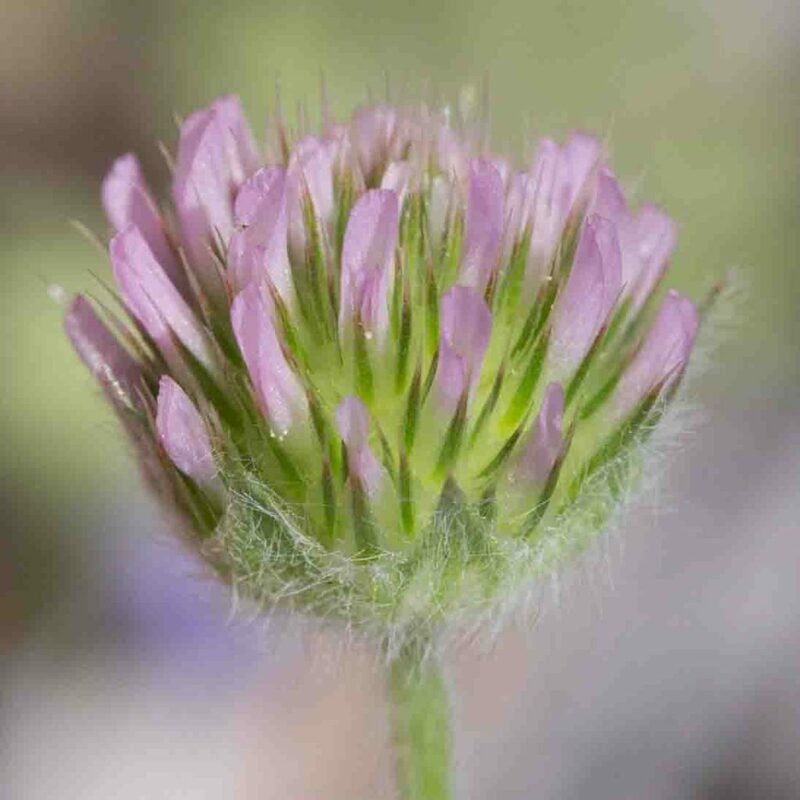 Leaflets are slightly serrated with bristly teeth.